You must buy a toothbrush with a small head, soft bristles and a large handle. At first, you need to wet the brush and then take fluoride toothpaste of rice grain size. Gently, brush the baby’s teeth in circular motion back and forth. Do this twice a day. At times your child might be a bit fussy about brushing. Make it seem like it’s a fun game, rather than a regime. 2. How to prevent baby bottle decay? This decay is caused due to constant exposure to liquids, which contain sugar like fruit juices, milk etc. If the sugar clogs around the teeth for longer period of time, it might lead to cavities. You must ensure that your baby does not fall asleep with a bottle of milk or juice. Before going to bed, try to provide a bottle of water. Clean your baby’s teeth and gum with a damp cloth after every breast feed. Fluoride helps to strengthen the enamel by making it resistant to acids and harmful bacteria, thus preventing tooth decay. But, it is also important to give your baby the right amount of fluoride toothpaste. The prescribed amount ranges to around 0.25 milligrams a day. 4. Canned juices, candies, soft drinks big no no! Avoid indulging your baby with various sugary syrups and licorice. It might deter the growth of the teeth if plaque develops, and it can also cause tooth decay. 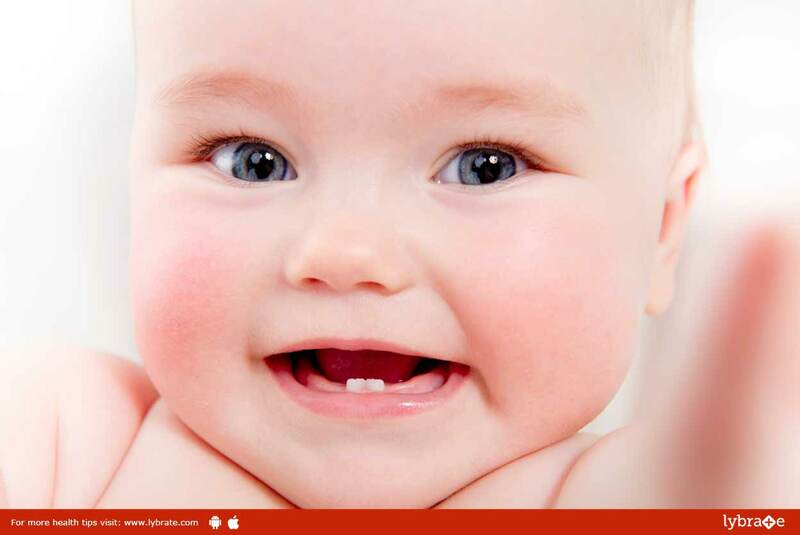 After your baby gets his or her first tooth, visit to a dentist is a must. His expert guidance will help you to get through the rough days of teething and will also give you the care chart plan you need to care take of your baby’s smile. ← Childbirth Complications – What You Need To Know?